Funded by the B.F.Ferguson Monument Fund.. 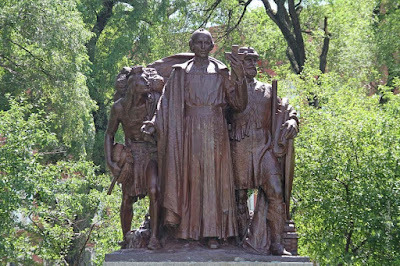 This memorial erected by the trustees of the B.F.Ferguson Monument Fund to commemorate the discoveries and sacrifieces of the missionary Pere Marquette. 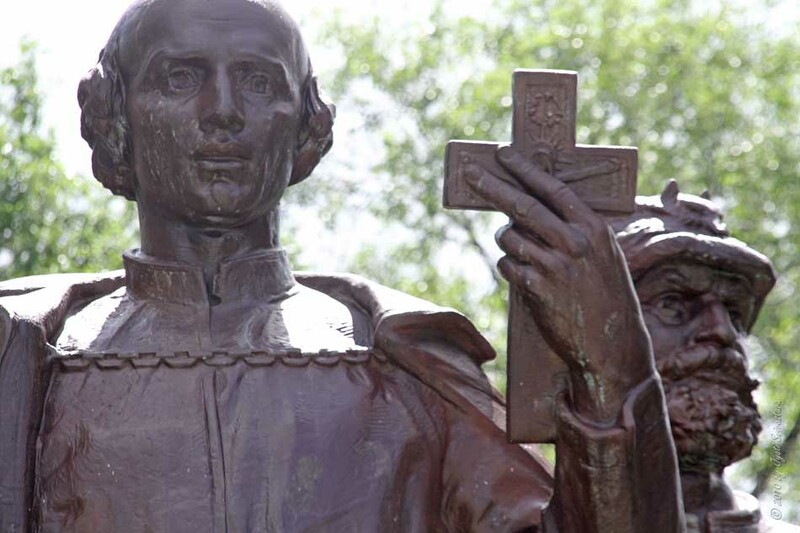 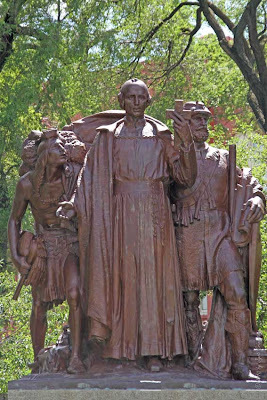 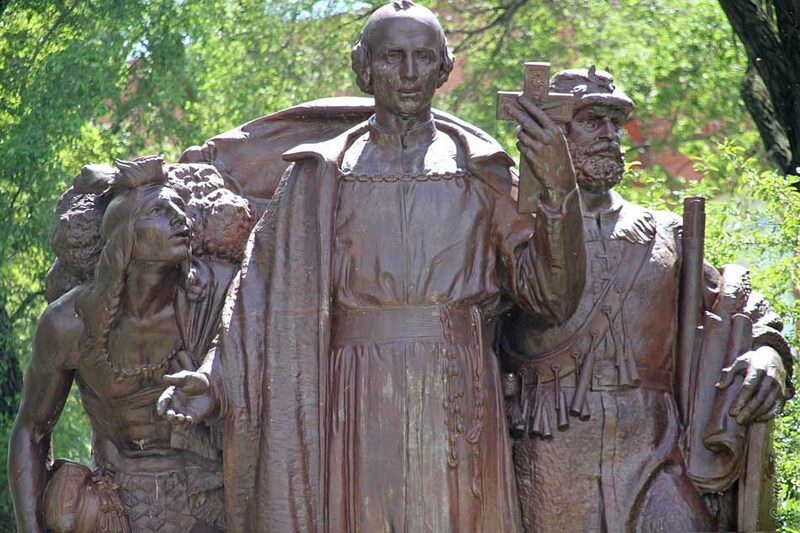 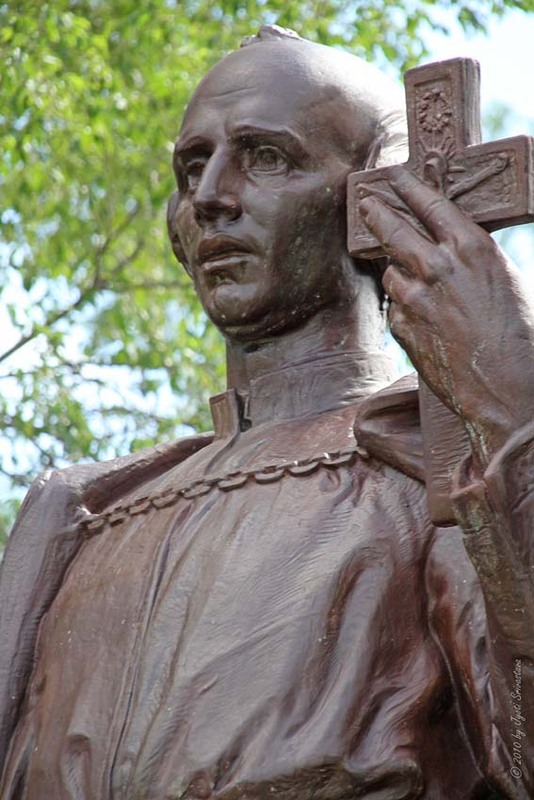 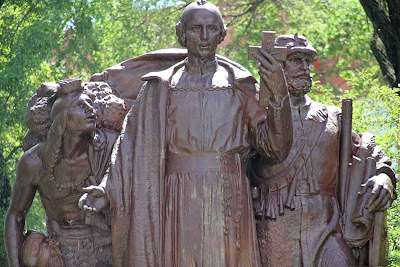 Jaques Marquette [1637-1675] , the Jesuit expolorer-priest is shown here with Louis Joliet [1645 - 1700] and an Algonquin Indian. 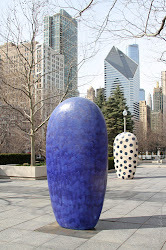 The book, "A Guide to Chicago's Public Art", by Ira J. Bach, and Mary Lackritz Gray, has some further information on this memorial.. 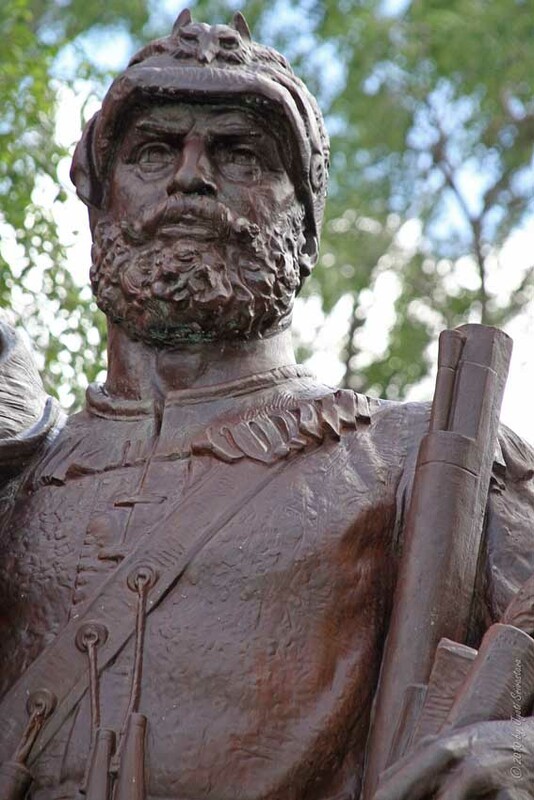 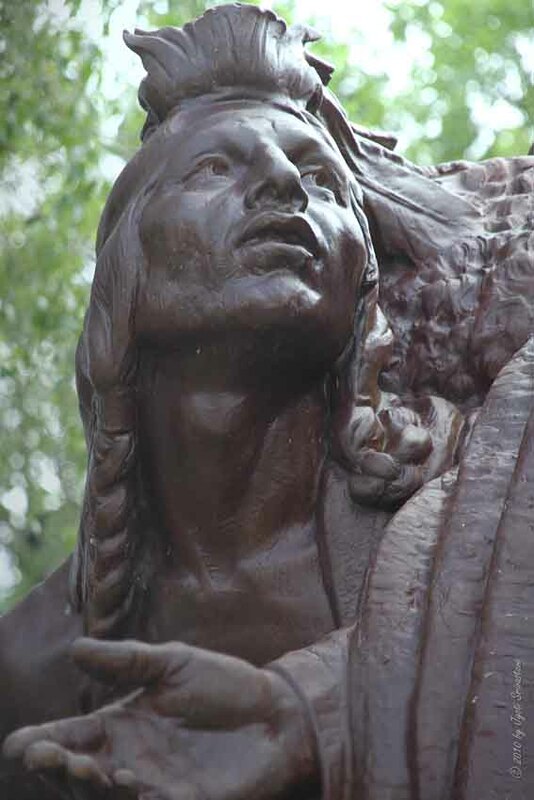 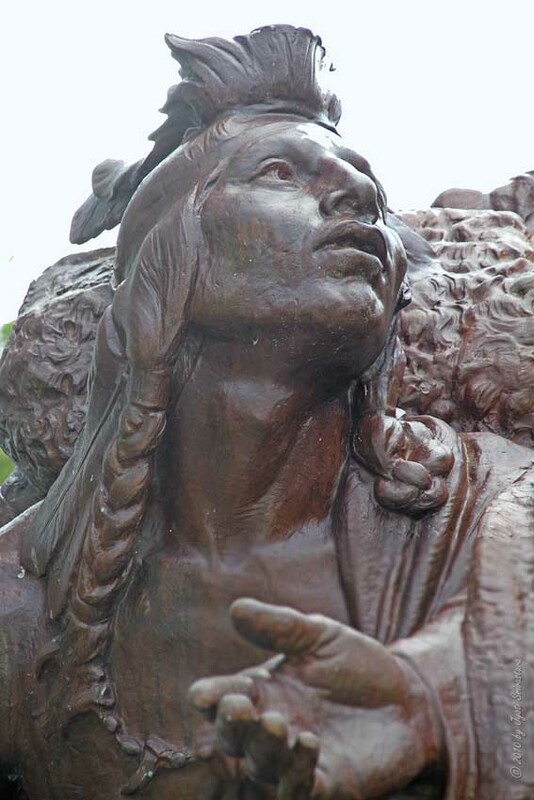 The three are depicted at the moment in the summer of 1673, when the French man, guided along the ancient Indian portage that linked the Des Plaines River with the South Branch of the Chicago river, recongized that a canal at this point would link the entire Great Lakes system with the Mississippi watershed . 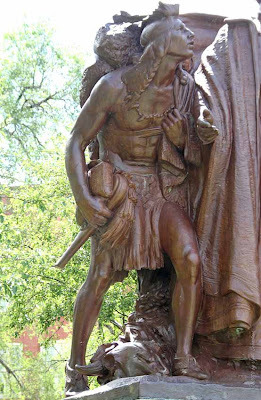 Today the Chicago Sanitary and Ship Canal, south of this point, makes that connection..
Also by Hermon Atkins MacNeil..
# Hermon Atkins MacNeil - The Sun Vow [AIC]..
# Hermon Atkins MacNeil - The Moqui Runner [AIC]..
# Herman Atkins MacNeil - bronzes [Marquette building]..
Nudes in Arts: "The Truth" has many aspects..